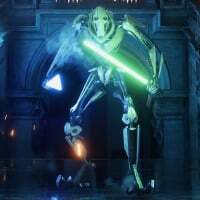 Greetings forumites, I was inspired by recent post by @RedWolf72ps4 to finally write a brief overview of what I have found to be the optimal order in which to assault each map in Galactic Assault. 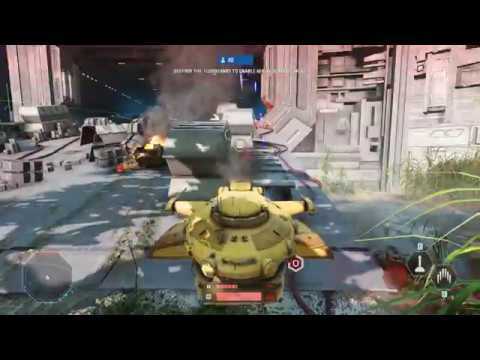 This will not be a comprehensive guide of how to play the maps, rather it will function simply as a brief overview of what I have found to be the ideal capture order for the objectives in order to maximize the chance of victory. The principle keys to remember for this guide are firstly that you should generally take easier to defend objectives first as in public games the pubs will be split initially, but if you take the easy objective first you will have stiff resistance at the 2nd objective... secondly you generally want your attack order to setup the pubs to be off balanced on the other side of the map from your next phase target as very few of them will consciously rotate across the map just to defend the more defensible objective. Finally, it is hard to objectively measure the success rate of these strategies because of the lack of stats tracking; however, I would guesstimate that my win rate is probably 80-90% when using these strategies... I have played with a good number of members on these forums at various times who can attest to the success of these attack sequences. 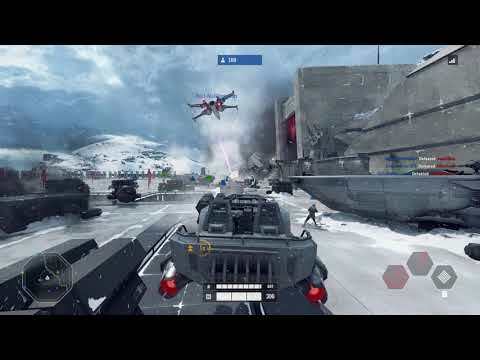 Phase 1: Control the left side of the objective and push through to pin rebels in spawn. Phase 2: Take the right objective first, ideally with AT-ST support as the right objective is easier to defend as rebels can cover from high ground... left objective is easier to capture as attackers get high ground advantage by default. Phase 3: No secret here, get your whole team in the ground floor and you will win. Don't get distracted outside or running upstairs. Phase 1: Take the left objective first... I favor circling the far left side and flanking around the back to cut off reinforcements... the right side is easy to take once left is taken because you can control the hanger access route catwalks to the 2nd objective and cut off reinforcements from below. Phase 2: I prefer taking the left objective first as it is easier to defend because there are longer sightlines to the little control platform area. Phase 3: I prefer taking the left objective first as again it is more open with longer sight-lines and defenders can defend from catwalks above. Phase 1: Focus most of the defense of the MTT's on the left side of the map, the middle and right can be covered by a sniper and a tank pretty much. Also, the left side is the high ground, so clones will favor launching from that side. Phase 2: I always take the left turbo-tank first... it isn't any easier than right, but it sets up the defenders for the final objective capture order. Phase 3: Take the left final objective first... this is because it is more open with longer sight-lines and is easier to defend. By taking the right turbo-tank last in the previous phase, most of the pub defenders will be on the right side at onset of final phase and left side should be vulnerable. Sometimes I can run there and plant without being shot at once. Phase 1: I prefer to focus on controlling the right side on this map... most players will go left at start so that will be controlled by pubs, the right side is advantageous to defenders in both initial spawn locations as well as in slightly better cover for launching rockets. Phase 2: I prefer to capture left side first as it is more open with longer sight-lines... right side has more cover for attackers to dodge behind when entering the room. Phase 3: This phase doesn't really matter as it is a choke point... 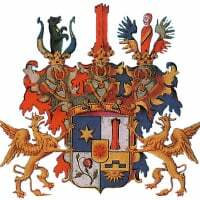 I always initiate my assault from either the furthest left or furthest right hallways, then I enter into the middle foyer from above/behind and cleanse the filth on the stairs before assaulting the throne room. Phase 1: On the initial rush in phase one I go for defending the right most launcher position as most rebels seem to head to this one first. This holds true most of the phase as the right side generally has better cover for launching rocket attacks. Phase 2: No secret here, flank the rock in the center and use the AT-ST to stomp around and through the rebels and pin them in spawn tunnels. Phase 3: Heroes should flood the right most side tunnel (Vader in particular is a beast here) in order to take the high ground control room area... once you control this vantage point you will quickly take the whole middle of the room with the high position advantage and cut off any further stragglers from running out into the left side. Destroy objectives from superior position. Phase 1: Take the right objective first as it has better defensive cover due to split level design. AT-ST makes short work of left objective after. Phase 2: No secret here, push up the right side tunnel to give yourselves a good flank and then clear the middle. Phase 3: This is the critical phase, you MUST take the left objective first. As soon as p2 captures your whole team needs to move up the stairs on the left side and across underneath the left pathway... you will exit on the far side of left objective. From there your team should get on the objective while a few move up under the rebel catwalks to slow the reinforcements attempting to return to the objective. Once left is captured the right objective is easy, simply take the high ground up the ramp and you will cut off reinforcements and capture with ease... if you capture right first, you will likely lose this phase. Finally, capturing right second here sets us up for our preferred capture order for final phase. Phase 4: I prefer taking the left objective first here as the rebels have slightly better sight-lines to defend the objective from above, but this phase can be won either way without much difficulty. If you took the correct capture order in P3, the left objective in p4 will be relatively undefended. Phase 1: Flank the left path up high by jumping around the pillar and go all the way to end. Jump down and hard flank in from behind then cutoff reinforcements... done. Phase 2: Go straight through the cloning facility and capture the right platform (west) first... most defenders will be on the left objective due to proximity, and the right objective is easier to defend as it has more limited access pathways for the attackers... this also sets up our preferred order for p3. Phase 3: Capture the right objective (barracks) first... this objective used to be an absolute nightmare as the overtime mechanic was bugged and you would lose a match even with troops in the capture zone... while that bug has been fixed, the layout of the room and the fact that it has closed doors on all sides means that if you attempt to take this second when it is fully defended you will just be walking through doors into a meat grinder. Take this first, and left will fall easy. Phase 4: This phase speed is of the essence. Instruct your team that as soon as the phase begins you need to enter the antechamber to the 2 tunnels, your fast heroes need to assess which side has less enemies, and you need to storm that hallway all the way to the end in 1 rush. Ideally you want to make it into the final room before any enemies you have killed have had time to re-spawn and begin to turtle. If you attempt to push both hallways and slowly drive the enemy back, you will find that the entire enemy team can cover both tunnel exits without moving, while your team will be split between the tunnels with no ability to quickly rotate and you will lose. 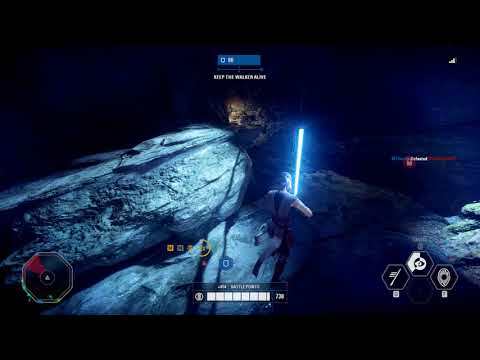 This is the worst designed phase for attackers of any map in GA. My preferred heroes for this phase are Maul and Palpatine... I will rush the hallway and even just dash/spin through/ignoring enemies if there are too many to kill in order to get to the final room and collapse the defense. Phase 1: Rebels should go over the top and then jump down and take the far left objective (fuel station) first... if you want you can simultaneously take middle back (walker bay). The reason for left first is that it is usually the least defended, and it gives you the high ground cover position of walker bay allowing you to take both at the same time. Computer station is easy. Phase 2: Priority of defense isn't as important here, I generally will take my hero and defend the side that has less pubs on it to ensure minimal rocket hits on the AT-AT. Phase 3: For the final assault, you need to take the upstairs first. Once you control the upstairs you can easily clear the downstairs from above... then just jump down and pin the imperials in spawn for the easy win. Phase 1: I prefer to take the turbo laser (right side) first in p1. as it seems to have better cover and access pathways for defense. 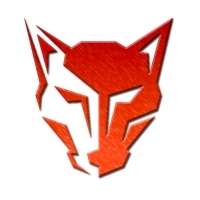 The fuel supply is relatively exposed and is easy to assault second.. especially as your troops will be coming from turbo laser which will put them in a flanking position to attack defenders attempting to move to fuel supply. Phase 2: You need to control the left side of the platform. I always go along the bottom usually with a hero and come up the back stairs and control the left side platform and stairs... this phase will be over almost immediately. 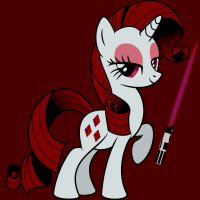 Phase 3: This is a weird phase... when I am defending, I prefer to defend the cell block (which would be the left side as attackers); however, when assaulting I prefer to take the right side first. I think the reason for this is that pub defenders seem to do better defending the right side due to the open sight-lines to the elevated platform. 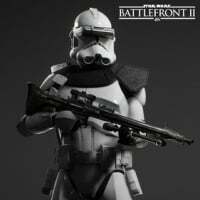 I recommend taking right side first unless fighting organized opposition... if fighting organized opposition I would take left side first as an organized team can easily 100-0 you if they know how to defend the cell block with heroes and flametroopers. Phase 1: Take middle (courtyard) first. 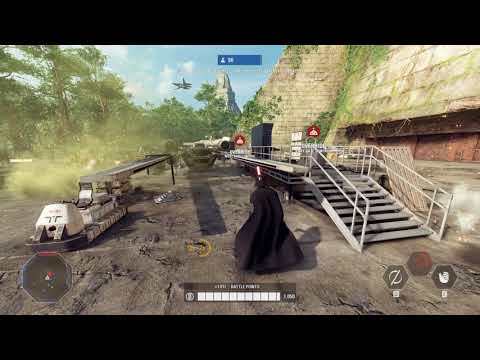 This is the only objective which cannot be accessed with AT-ST, and it is easiest to defend due to easy access for defenders and multiple over-watch positions. Once you take middle, I recommend taking left and then finally right... this sets up the p2 order. Phase 2: Take the left side (laser control?) first. This area is not accessible to AT-ST and can be impossible to take if a couple good defenders get heroes. Right side is easy as AT-ST has free reign. Phase 3: This phase your players should all flood far right side with AT-ST and kill any rebel stragglers on far right side (looking at you AT-RT users)... once the far right is controlled, start sweeping across the phase R to L taking the right objective (which is more open to defenders) and finally taking the left objective while pinning defense in spawn with AT-ST spam. This order sets up our final phase. 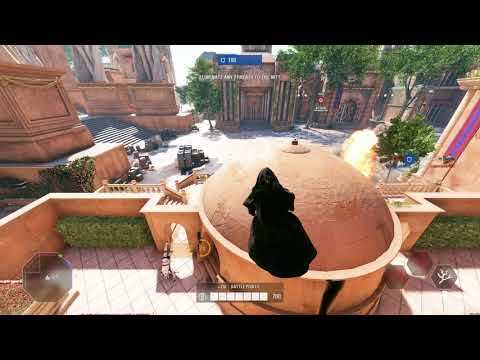 Phase 4: Take the right final objective first... this objective has limited attacker access and is easily defended... take it first or risk being 100-0 defeated if your enemies have good defensive hero players and wookiees. Fortunately our p3 order setup the defenders off balance and most will be on the left side at beginning of phase 4. Phase 2: Take bazaar (right side) first. 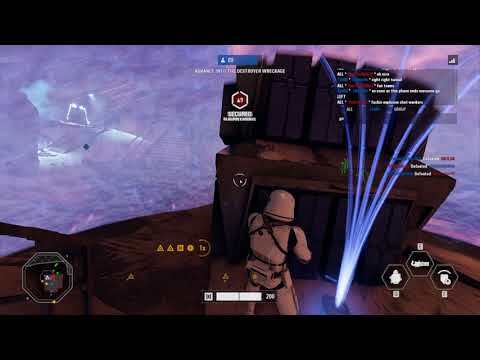 Bazaar is again less accessible to AT-ST and is easy to defend particularly from the high overlook inside... if you attempt to take this second and the enemy team has Rey/Yoda in play, you will probably lose. Phase 3: For final phase you want to go as far left as possible. Head down the back ramp around the spaceport and enter from below/behind... run up and plant bomb. I can frequently do this with only 1 or 2 rebels being dispatched as the rest are on the other side of the spaceport. Phase 1: I prefer to focus my defense of the AT-AT on the right side as that side seems to have better cover for defenders and their launchers... additionally you can frequently cover 2 launcher points on the right & center, while the left launchers are out by themselves especially early. Phase 2: I prefer to take the right side first simply because it sets up the order I want for p3. Phase 3: I prefer to take the far right final objective first as this one seems the easiest to defend. It can be defended from rebels up on the high overlook path while also being easily accessible from the rebel spawn points. Take in order from right to left and this phase should be easy. 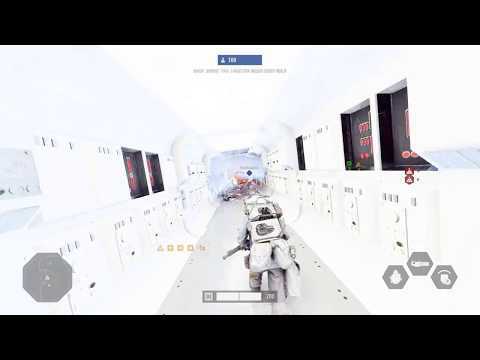 Kamino: Phase 4, you MUST push quickly to final objective and collapse the defense or you will almost certainly lose. Jakku: Phase 3, you MUST take left first if you want a good shot to win this phase. Kamino: Phase 3, you MUST take barracks first or you will likely lose. Yavin IV: Phase 4, you MUST take the right final objective first or you will likely lose. 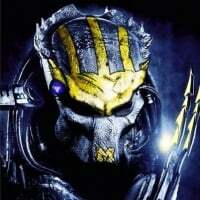 Finally, I will be uploading video examples of each strategy being executed for reference as I obtain the footage. 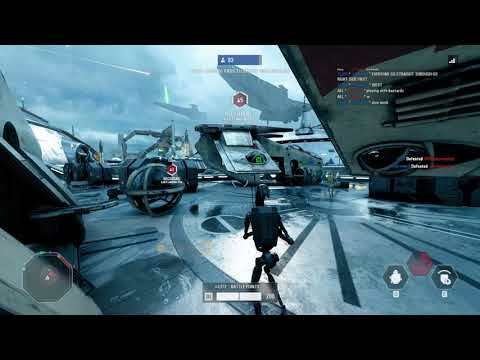 Kamino Phase three is still winnable if you don’t take barracks first, to do this, you need a half decent Officer with Recharge with Bossk and Palpatine/Vader/Maul. 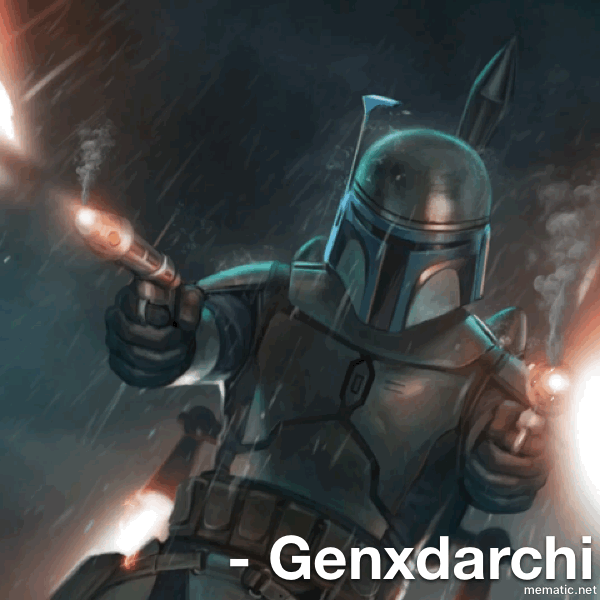 Recharge Bossks gas and mines and the defenders will have to get back or die from poison. The dioxis with lingering and increased radius is definitely needed. Though it is definitely easier to take Barracks first. Oh another guide from you, great! Looking forward to read it!!! 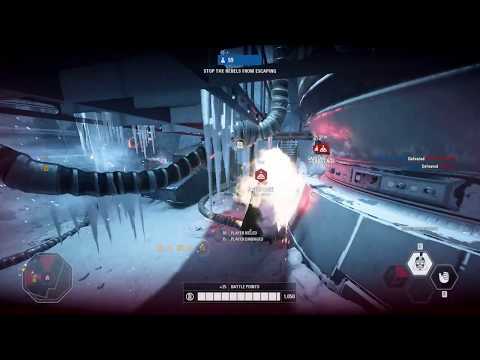 The easiest way to take Phase 2 on StarKiller Base (Death Stairs) is to take Leia out to the middle of the courtyard, just inside the Fuel Station. Use her Homing shot by walking back and forth to clear the deck and then the top of the stairs. Easy 20 kills and the FO will scurry. Most will spawn Heavy or Sniper to try and shoot her, but if you keep pacing back and forth its useless for them. Your team will take the objective with less than a 20 ticket loss in about 3-4 minutes tops. Works every time. t3hBar0n in the AAT, watch out LAAT's you won't be up for long lol. 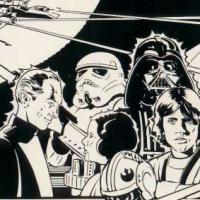 You even took out star fighters nice one. @t3hBar0n can I ask how your AT-ST movements are so smooth. I can't do that with a keyboard and mouse. On keyboard moving the AT-ST is like he won't move, gets stuck a lot, and has his legs tied with 2 cables. Aiming with a mouse is very difficult as it overshoots and can't point where the enemy is. 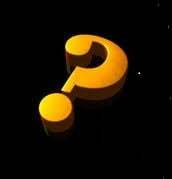 Do you use a controller? Im really glad you posted this. 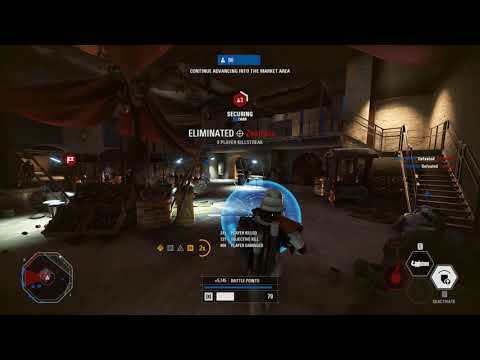 Yesterday, i was playing as the first order on crait and on the last phase, we had 100 reinforcents but ended up losing without having destroyed any of the consoles. I think people just assumed phase 3 was a TDM/last man standing. I use mouse keyboard, but my sensativity settings are not default. How do you manouvre the at-st so fluidly? Mine gets stuck on every single thing, and wont move/go anywhere. 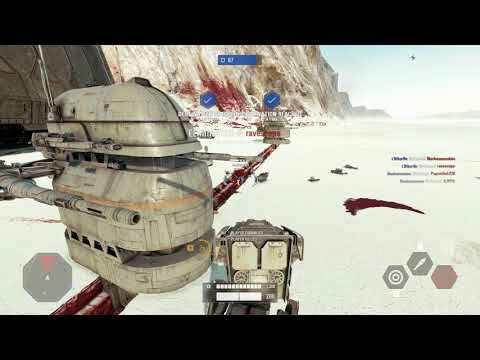 even holes in the ground eg crait it has problems with. Hard to say specifically, just a lot of practice I guess. Also just need to remember that the legs are controlled by the keyboard while the head is controlled by the mouse similarly to how tanks are controlled in battlefield 4 for example. I know on PS4, you have to take the left objective first. The right is extremely easy. If you don't take the left right away, its almost impossible to take. The snipers up top (NT242) will tear up any ATSTs and the deck is full of turrets. Takes way too many tickets. Rush left and take it with 9 people. Right objective has 3 ways in (top, bottom and rear) and can be taken quickly. Saves tickets for Phase 2. 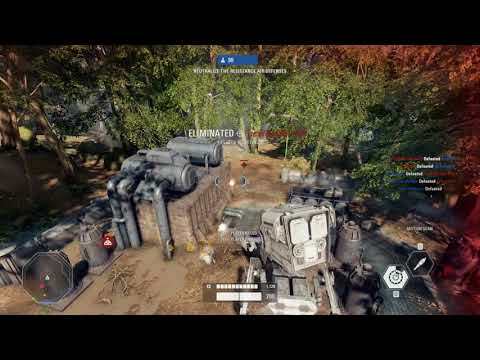 On PC, I and many I play with have found that the right objective is much easier to defend as it cannot be effectively cleared by the AT-ST due to its split level design. The left objective is easy to take with the AT-ST. This is why we always take right objective first, because it can be turtled with relative ease with a committed team due to its split level design while the left objective has minimal cover and anyone attempting to capture will be more exposed to fire. I agree with you, I'm just saying on PS4 games it works so much better in reverse. ATSTs don't last long. Usually we can kill them from their spawn point from the left objective. 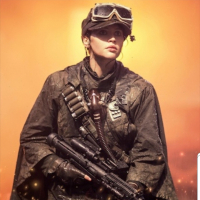 If the game doesn't make it to Phase two, its because the left didn't get taken before the Resistance dug in. ok so you have to remember where the legs are and where all the terrain objects are when you can't see them (can't see terrain you are standing on, can barely see the legs while in 3rd person view) ? do you hold sprint? should you not sprint when there are objects? is pressing left and right ok to do or does it only go back and forth? Correct, you control the legs semi separately from the turret. Generally you want to avoid side stepping as much as possible instead driving it as if it is a car. I do use sprint a decent amount as well. do you still use the DC15 ? Nope, back to the TL50. Nothing has changed regarding capture orders in most recent patch as of today. Quick update: I had the opportunity to partake in some organized group vs group combat due to many people being origin friends and joining off friends list... basically we were able to get a organized group vs group game. I had 4 matches of Starkiller base, and consistently the right side (as attackers) hanger proved to be the easier objective to defend. Thus, for Starkiller final phase as attackers, you should always assault right side first as it is easier to defend than the cell block. Bump to top. This capture order remains the same at this point and still yields the best chance of victory. Feels wrong that you haven't gotten more likes for your guides. Your tips are genuinely useful. That is the problem... if you want to pile up the likes you need to engage in wanton hyperbole and vitriol against DICE... not do silly things like write/film guides on how to do better at the game!